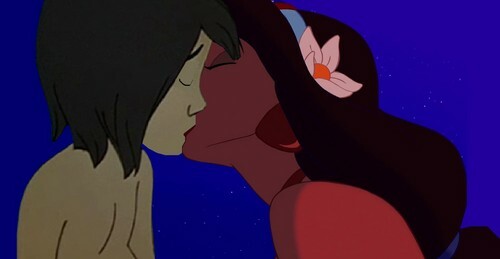 hasmin and mowgli halik. . HD Wallpaper and background images in the disney crossover club tagged: photo jasmine mowgli disney crossover. I have actually seen these two paired up before in a youtube video. The video features the popular pop music hit- "Stacy's mom." Look for disney crossover\ Stacy's mom if you're interested. Note Also both characters were shown to be eager explorers in their original stories, so this pairing might just have potential!